The Vertagear P-Line PL6000 Racing Series Gaming Chair is a rather simplistic chair and it comes with a pretty hefty price tag. Is Vertagear PL6000 chair worth the price tag and will you find the ultimate comfort that you’re looking for in this chair? We dove right into all the details to find out and to help you save money. The first thing you’ll notice is that this Vertagear chair has generally plain aesthetics. 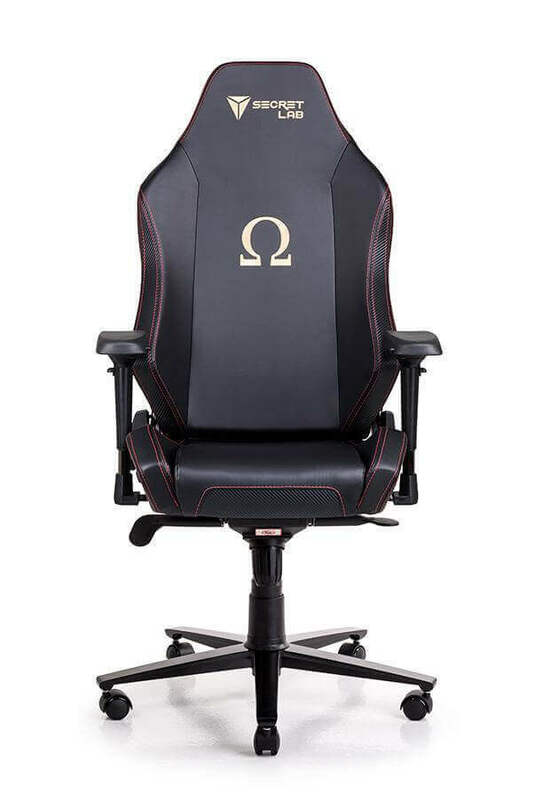 Sure, the design of the Vertagear PL6000 is kind of catchy and the eye catching palette of the chair is nice to look at, but the seams and the lines of the chair make it seem rather plain in design. Then, we have the reinforced base which is meant to hold a lot of weight. This is great for a lot of reasons and anyone who spends a lot of time in the chair will understand why this is important. Over time, some chairs will deteriorate and their base weight capacity will actually decrease over time. It was pretty impressive to learn that Vertagear chair can actually hold up to 440 pounds, which isn’t something we see in a lot of chairs. For the average gamer, you can easily fit two people into a single chair but this isn’t something we recommend for other reasons. Q: How does this chair handle spills or something getting on it? Is it easy to clean? Q: What if I’m a tall person, over 6’, will this chair fit me? Q: How’s the warranty and customer service? Putting the overall design aside, we noticed that the Vertagear chair has a rather wide base compared to other chairs as well. The base contributes to allowing the weight limit to be spread out over the chair, which allows it to hold more weight. The overall level of comfort of the chair is rather nice and it’s something we were pretty thoroughly impressed with. With a chair this high of a price tag, why are they always being sold out or going out of stock? We wanted to find out why Vertagear chair was so popular. As for the overall design, there’s nothing too overly special about the chair for aesthetically pleasing reasons. The first thing you’ll see is that there’s red seams all over the chair and the back has what looks like little planks of black padding on the chair. While the pads are rather comfortable, it’s nothing too impressive in terms of the design. That said, the stitching of the Vertagear PL6000 reminds a bit of a Recaro seat and it a nice touch. Then, you’ll notice that the design was built for a wide frame. This frame allows people that are heavier to sit in the chair, paired up with the extra heavy duty alloy base. The pillow is also rather fluffy and a bit plain looking as well, so there’s nothing too unique about the design there. The armrests seem pretty standard in terms of the overall design. The backrest is one of the thickest padded we have reviewed and it is insanely comfortable. It has enough backbone to keep your spine in alignment while still being soft as a cloud. However, you shouldn’t contribute the overall worthiness and the price tag of the Vertagear chair solely to the design though because some people do actually like this design and it’s very comfortable. Believe us, the overall comfort level of this chair is on cloud nine compared to a lot of other chairs out there in the market right now. What gives Vertagear chair a great value is its durability. It will last a number of years without losing any of its comfort. Read on below to learn more about how durable the Vertagear chair is. When you’re trying to compare the overall durability of Vertagear PL6000, your expectations are probably set a little high because of the price tag. That’s understandable and we were too. So, when we got the Vertagear chair and had it fully assembled, which only took a few easy steps, we finally took the plunge and sat down into the chair. The base padding feels like a heavenly cloud. The base of the Vertagear chair comes with an extra thick layer of padding that’s made for your buttocks, legs and thighs. The problem with a lot of gaming chairs today is, they have a flat base layer of cheap padding that leaves you sore after only a couple of hours of sitting. This chair though, kept us comfortable for hours. Even though the padding is soft, it is very responsive and will expand right back to where it was before you sat down. This durability will keep the padding from becoming compacted and hard. For years, it will be just as comfortable to sit on as the day you bought it. What about the frame of the chair and how durable the steel is? This chair can hold up to a maximum of 440 pounds, probably even a little bit more if you really pushed it but we’re pretty sure that the majority of people who are looking at these types of products aren’t 440 pounds. This steel base is classified as a level 5 steel base and can hold a lot of weight for a prolonged period of time. Putting the chair together is a snap. The backrest slides right in without needing any tools or hardware. It does come with a T handled key for the parts that do require some hardware. This can easily be done by one person, but be warned that the backrest is quite heavy so it may take a little patience to get it to slide in to the base just right. Unique Assembly – One of the great things about Vertagear chair is how quick and easy the overall assembly is. No one likes to spend hours assembling a chair or scrambling to go through all the packaging contents of a gaming chair they just ordered to figure out how to put it together. This chair is relatively easy to put together and has a unique slide in functionality that makes assembly only take a few quick and easy minutes. It’s a quick and painless one person installation process. Adjustable – The armrests may not look like much at first sight but they’re adjustable and really comfortable. If you don’t like the position of the armrests on the chair, you can adjust them to up to four different positions. A lot of people don’t particularly like armrests on a lot of gaming chairs because they’re made with cheap plastic and they’re not comfortable to rest your arms on. This chair however eliminates that nuisance with a nice contoured shape and padding. Heavy Duty Metal Chair– One of the great things about this chair is how durable it is and how steady it is. The base of the chair is made with a high quality reinforced 5 star base metal. It comes from a heavy duty alloy material which allows not only for a solid structure but allows for a weight capacity of up to 440 pounds. Tilt Feature – Finding the perfect resting position in your chair is completely up to you and it’s something you need to find based on your own preference. This chair allows you to easily do that by attaching an easy to find tilt mechanic and level to the side of the chair. You can adjust multiple things like resistance, the lock and the lean. A: Yes. 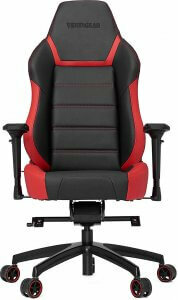 Vertagear chair handles spills or accidents pretty well seeing as the material is very durable leather. Leather in general is easier to clean up after than cloth because cloth absorbs while leather resists. It doesn’t allow materials to soak into it. A: Yes, Vertagear chair will fit you just fine. We’ve seen reports of people over 6’4 that have no problem enjoying the chair and resting comfortably in it. A: The customer service according to reviews is par none and amazing. If you ever have any issues with the chair or need a replacement, Vertagear is always there for you and waiting to help. Overall, this is a relatively heavy duty chair and was built to last. There’s not a lot of gaming chairs out there that can support a max weight of 440 pounds but the Vertagear P-Line PL6000 Racing Series Gaming Chair can do it. The only thing that’s difficult about the chair is getting your hands on one if you’re not quick. 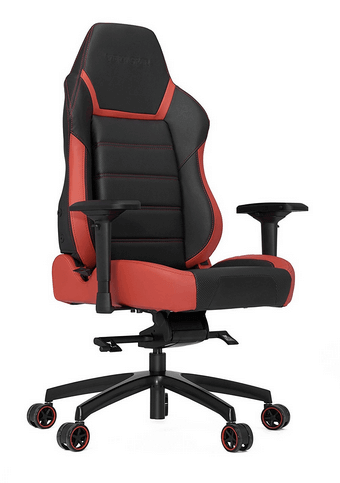 This Vertagear chair sells out fast, it goes out of stock a lot but Vertagear is great about replacing their stock. Another thing we were thoroughly impressed with is the assembly. Putting together gaming chairs is usually an utter pain. It’s usually a pain because the bases need to be strong and there’s so many different parts that come with them. The Vertagear PL6000 chair however was such a nice refresher because all we really had to do was slide a few parts in and then the chair was good to go. The cushioning of the chair is next to none, one of the most comfortable chairs we’ve ever sat in. It was like a nice and heavenly cloud when we sat down. The Vertagear chair is definitely one of our most recommended gaming chairs and it’s not something that you’ll ever be disappointed with anytime soon.